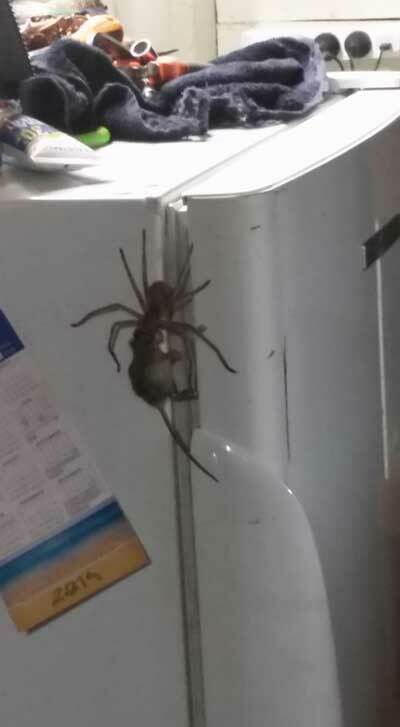 A man from central Queensland, Australia, has caught on film a huntsman spider clutching onto a small mouse and trying to drag it to the top of a fridge where it can eat in peace. 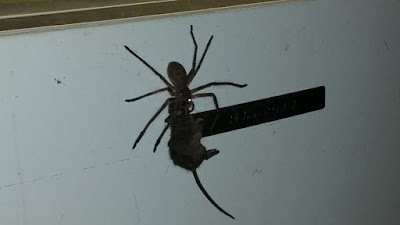 Coppabella man Jason Womal said his neighbour called him into his house to show him the huntsman struggling up the fridge with the seemingly dead mouse in the early hours of Sunday morning. 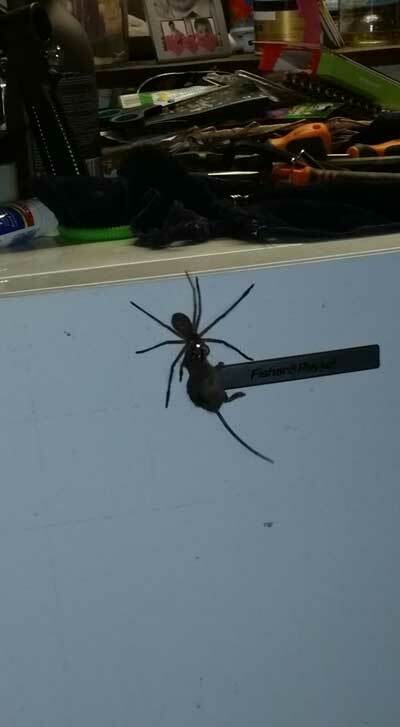 "So I am just about to leave for work about 12:30 and me neighbour says 'You want to see something cool' and I say 'hell yeah'," Mr Womal wrote on a Facebook post. 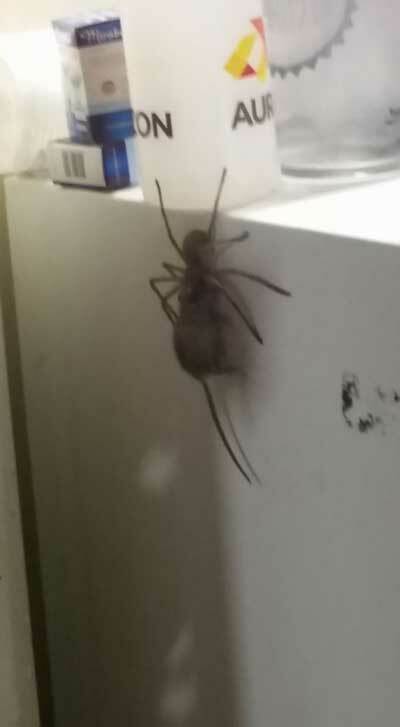 Mr Womal decided to name the spider Hermie. "We have adopted him and he is now running his own extermination business out of our town Coppabella," he said. "You can watch the video here"
Erm, thanks but I'll pass. Pictures were more than enough. 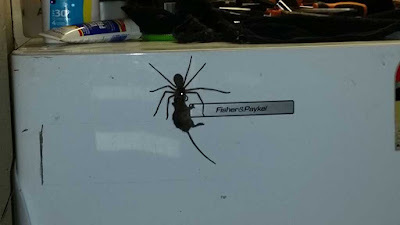 The more I read about Australia's wildlife, the more I'm sure I never want to go there. 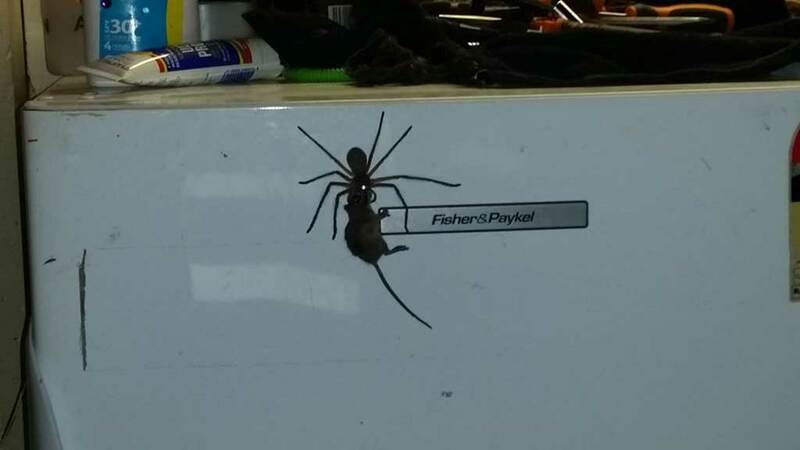 I live here in Australia and we do from time to time get these spiders in our house. We catch and release, which can be difficult. Mostly they just sit on the ceiling or wall and do nothing, then I click on this story and OMG are you kidding me......I have never seen them do this, didn't even know that this is what they ate. Oh boy, 40 years here and this place is still able to surprise me. Damn. Thanks Arbroath, just what I need, another sleepless night.